The city of San Diego will continue to conduct public outreach about the drought and cutting back on water use, as statistics show consumers slacking off on conservation in recent months, the city’s director of public utilities said Thursday. “Like everything else, you keep hearing the same message over and over you start disregarding it,” Halla Razak told members of the City Council’s Environment Committee. While San Diego has cumulatively met its goal of reducing water use by 16 percent from 2013 usage totals since state-mandated water restrictions took effect last June, the city hasn’t reached the target in a single month since October. The usage figures mirror what’s been happening across the state. “We are trying — because this issue is so complex with varying messages from different places, you hear it’s snowed a lot, it’s rained a lot, we have a lot in storage, we don’t have enough — we’re trying to minimize the confusion to our customers as much as possible,” Razak said. She agreed with committee Chairman David Alvarez that even though El Nino hasn’t brought much rain to San Diego, it has generated a great deal of precipitation in Northern California, easing statewide drought impacts. El Nino rains have had only a minimal effect on local reservoirs, according to Razak. The state mandates will continue through October. However, San Diego’s target is being halved to 8 percent, thanks in part to the opening of the Carlsbad desalination plant, she said. Razak told the committee that more than 8,200 complaints have been received about alleged water wasters, and all were investigated. 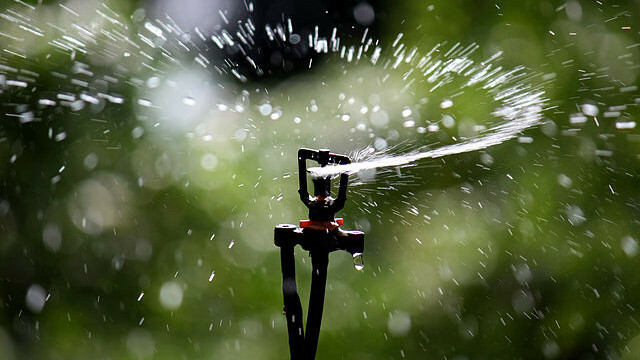 Since November 2014, the city has issued 325 citations for overuse of water, she said.